Despite having a “grape” in its name, the Oregon grape root is not related to the grape family. This is a native plant that grows in rain forests located in the Pacific Northwest. This is a shrub that bears bright yellow flowers during springtime and easily spreads from one place to another through rhizomes, or underground stems. The tree then produces berries that are deep purple in color and the dark green leaves turn purple, bronze, or crimson during the fall season. But what makes the Oregon grape root a lot more popular nowadays is that it is more readily available than goldenseal, another plant that is well-known for its anti-bacterial properties. Goldenseal is one of the wild flowers in the United States that is heavily harvested, which is why it is now considered as an endangered plant. Experts have been recommending some alternatives instead of goldenseal and one of those is Oregon grape root. Based on the ancient uses of Oregon grape, it has been used similarly to goldenseal. How should you take Oregon Grape for Candida? Oregon Grape shares an active ingredient with goldenseal – named Berberine. Berberine is also found in other plants such as barberry. According to a 2011 paper “Berberine inhibited the growth of various Candida species”. Additionally, studies have shown Berberine to help regulate blood sugar levels, preventing the spikes that can feed a Candida overgrowth. Other active ingredients include Canadine and Hydrastine. Berberine is truly a multitalented substance though. It is an immune system stimulant, and also acts as a mild sedative on your central nervous system. If your Candida is severe then this sedative property will help you feel more comfortable, all the while pushing your immune system to fight the outbreak. Oregon Grape is often consumed as a tea or a tincture. To make the tea, boil 2 teaspoons of Oregon Grape root in 2 cups of water for fifteen minutes. 2-3 cups per day should be enough. If you buy the tincture, be sure to follow the instruction, but a typical regime is half a teaspoon, three times a day. In your health food store, you will probably find oregon grape as a powder or in extract form. The extract can be taken using a dropper, once or twice daily with meals. 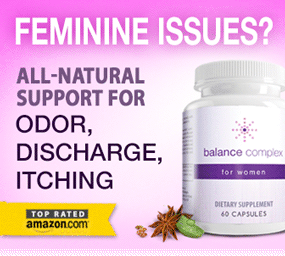 How does Oregon Grape help treat Candida? It has been seen that Oregon grape has the ability to treat skin conditions that are chronic, such as eczema, acne, and psoriasis. The plant contains a lot of isoquinoline alkaloids, which are beneficial for the skin, especially the one called berberine. Oregon grape has been used to treat flu, cold, and other infections. In lab studies, Oregon grape root has been found to be able to suppress or kill disease-causing microbes, such as E. coli, Candida as well as other fungi, Vibrio cholera, and a lot more. Berberine, which is abundant in the plant, can inhibit the ability of bacteria to stick to the cells in the human body, which is effective for preventing infections. Oregon grape root is also good for those who suffer from problems in the digestive tract. Berberine is also said to be helpful for the bone marrow and helps people undergoing chemotherapy to recover faster.